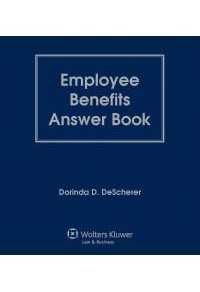 Employee Benefits Answer Book provides comprehensive guidance for those involved in the design and administration of employee benefit plans. This convenient Q&A resource provides comprehensive guidance for everyone involved in the design and administration of employee benefit plans. It enables professionals to probe key topics, including current ACA requirements and developments, COBRA continuation coverage, retiree health care coverage, health coverage portability requirements, group long-term care insurance, and much more.